In order to meet the changing needs and expectations of passengers, governments and commercial entities, rail operators need to adapt and innovate. 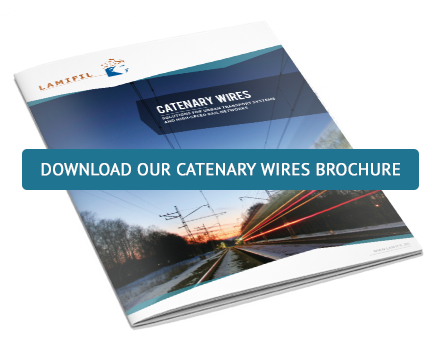 Our latest catenary wire innovations offer exceptional mechanical and electrical properties, thanks to superior new alloys and modern production methods. Lamifil’s innovations that energise rail for the future. Excellent conductivity. Comparable to Cu or CuAg. Economical. Up to 6.5% savings in copper weight. Cost-effective. Longer substation intervals or reduced voltage drops. Increased rail capacity. Up to 15% higher train capacity. CAN ADDRESS YOUR SPECIFIC CHALLENGES?